What we wear to church: does it matter? During a recent Sunday morning worship service, I noticed something a little unsettling. Although the church I was attending was a more traditional congregation, the vast majority of parishioners were dressed casually. There was hardly a man in the sanctuary dressed in a suit, or coat and tie. The women were mostly in slacks or jeans; some were even in flip flops. I couldn't help but query, "Whatever happened to putting on your 'Sunday best'?" Now, please don't jump to any conclusions, I'm not about to launch into some legalistic diatribe that argues for a church dress code. God forbid. Besides, I have often entered church worship services dressed for convenience and comfort. Nevertheless, there is something about this latest trend for casual wear during Sunday services, which is not only present in more contemporary fellowships, but everywhere that makes me a bit uncomfortable. Granted, times change and so does fashion. There are no hard fast rules from Scripture about the way to dress for church. Still, there are biblical principles for worship acceptable to God that points us in the right direction. Each of us would do well to look into this mirror to see if we line up. If we do, chances are, so will our church apparel. I grew up in a small town where many of the people with whom I went to church were very poor. A lot of them didn't have expensive clothing to wear to church on Sunday. Yet they came dressed in their finest every Lord's Day. Some of the men would wear their best shirt and a pair of overalls that were clean and pressed with a sport coat, while donning a Fedora hat. It was a mixed-matched and unimpressive combination, but the point is they came dressed in their choicest garments. Some of the women had only one dress for church, but they came for worship every Sunday in that same dress because it was the most excellent pick of their closet. They did this because they believed worship "in spirit and in truth" (John 4:24), as Jesus commanded, required their noblest demonstration of deference to God. What does the way we dress for worship say about our relationship to God? Does it demonstrate we believe that He is high, holy, and lifted up, worthy of our deepest love, adoration, and respect? Which of us would plan to meet with the President of the United States or an international dignitary, without trying to make a stellar appearance? What would our attire reveal about our appreciation and honor for their esteemed position? Again, the purpose of this article is not to contend for church dress codes. But it is meant to say that it seems that our worship in many situations may be too laid back, too casual, too informal, yes, even indifferent. By our clothing we can display many things – the condition of our heart being one of them. When we bow before the Lord and venerate His name in public worship, He deserves our loftiest expressions from within and without. 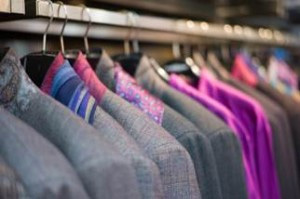 , , "Clothing Matters: What We Wear to Church." ChristianityToday.com. N.p., n.d. Web. 05 Sept. 2014.